Life is better and less stressful than we imagine - if we are aware and choose to have it be that way. Thank you Maya Angelou for putting pen to paper and writing such beautiful, empowering words. Blog Celebrating World Poetry Day & Phenomenal Wom 2 Likes Happy First Day of Spring! Blog Happy Birthday Renoir! 1 Like OSCARS 2013 Best Dressed video OSCARS 2013 Best Dressed 1 Like Can't Beat Nature! I am always amazed at how awesome nature is. 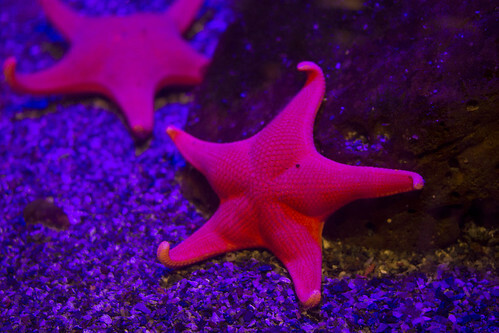 This beautiful star fish is a work of art. Blog Can't Beat Nature! 2 Likes How It Feels [through Glass] video How It Feels [through Glass] 2 Likes This will make you smile! video This will make you smile! 1 Like Bravo Kelly for being -- you! Standing up for yourself is hard, in the public spotlight against a music icon like Clive Davis... even harder. Blog 40 famous quotes by famous artists to INSPIRE 1 Like What is your art?